Phil Robertson is the founder of the Duck Commander Company, a multimillion dollar business currently headed by Phil's son Willie. He and his family are the stars of A&E's hit reality television show Duck Dynasty. Phil is the bestselling author of Happy, Happy, Happy: My Life and Legacy as the Duck Commander. Kay Robertson, known as Miss Kay, is Phil's wife and the beloved matriarch of the Duck Dynasty clan. 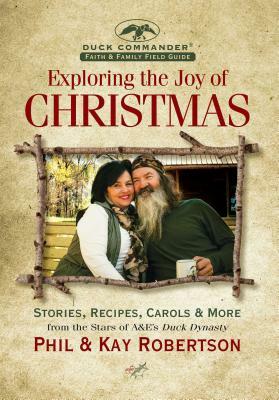 She is the bestselling author of Miss Kay's Duck Commander Kitchen.